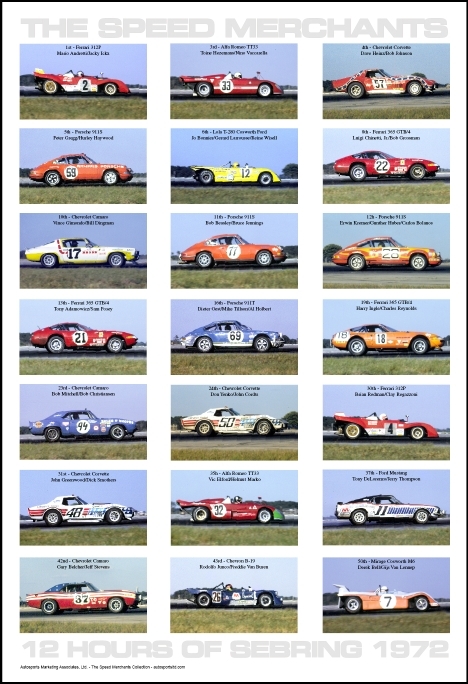 The Speed Merchants - 12 Hours of Sebring 1972 - Autosports Marketing Associates, Ltd. 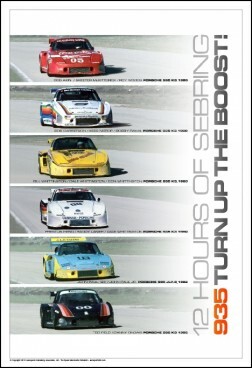 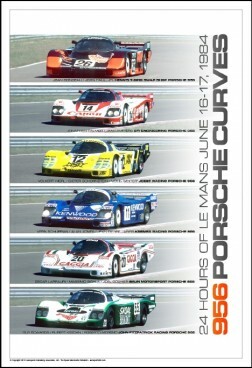 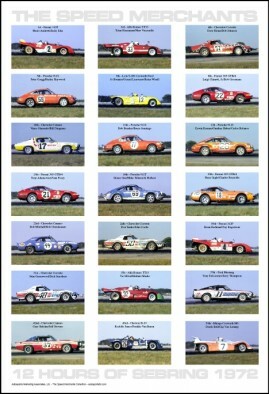 In their finishing order, a collage of 21 cars that participated in the 1972 Sebring 12 Hours. 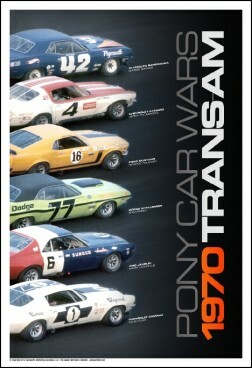 Includes the model of the car, the names of the drivers and their finishing position.